Anyone who has ever gone into a nail salon is familiar with the strong smell of chemicals and workers wearing face masks when doing client’s manicures. While these chemicals may not be harmful to customers who go into a nail salon a few times a month at most, they are proving very dangerous to nail salon workers who spend all day around toxic chemicals such as acetone throughout each work day. According to a recent investigation by The New York Times, nail salon workers are being poisoned. The author focuses on the lives at one popular nail salon in New York City. When a customer opens the door, seemingly happy workers greet her and ask her to pick a color for her nails. At the first work station, an immigrant worker trims a client’s nails while talking about her two children. She does not mention a child lost in miscarriage. Another worker is on the internet looking for reasons she had a miscarriage, as well, along with four others before the most recent one. Many workers at nail salons across the country have suffered miscarriages, respiratory illness, cancer, painful skin rashes and other serious health problems thought to be related to on-the-job illnesses due to the chemicals to which they are exposed on a regular basis. Researchers believe this to be caused by the polish removal solvents, nail polish with strong chemical bases, nail glues and nail hardening chemicals. As our Boston workplace injury attorneys understand, there is now a strong and growing link between these dangerous chemicals and on-the-job illness for nail salon employees. With respect to the respiratory illness and skin rashes, there does not seem to be much doubt as to their cause. The research is not entirely conclusive on the link to cancer and miscarriages, but scientists are becoming more convinced of this each year. One of the reasons there is little evidence of reproductive issues being a direct result of the chemicals is that few specific studies have been conducted to look into this tragic phenomena. 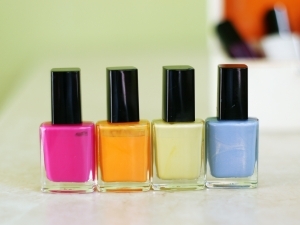 Under current federal regulations, nail chemical companies are not required to submit safety concerns with the United States Food and Drug Administration, since nail salon chemicals do not fall within the agency’s jurisdiction. This is not by coincidence, since industry lobbyists have worked hard to keep it this way. If you work at a nail salon and have been diagnosed with a job-related illness or injury, you should seek a confidential consultation with an experienced workers’ compensation attorney as soon as possible. You may be able to seek a full and appropriate financial recovery for any medical bills, lost wages, future medical expenses and rehabilitation costs as result of being poisoned by chemicals used at your workplace. This is what is known as an injury due to occupational exposure to harmful chemicals. However, it is important to make sure your employer makes an incident report following your diagnosis, and you do not wait too long to file a claim for workers’ compensation benefits, as there is a time limit to apply, and it is much shorter than the statute of limitations in a civil negligence case.